A&O Troopers at TomorrowWorld pose over the vast campground where they patrolled. Kel Executive Services, led by Frank Keller, provides the overall security coordination for the entire Bonnaroo Music Festival. With mounted patrol as a portion of the overall plan, KES and A&O have made Bonnaroo one of the safest music events in the country. KES personnel oversee six additional security companies that provide specialized security teams for different facets of the comprehensive plan. In its June 24, 2004 edition, Rolling Stone named the festival as one of the “50 moments that changed the history of Rock & Roll.” The music and camping extravaganza draws more than 90,000 fans to a Woodstock-like setting. 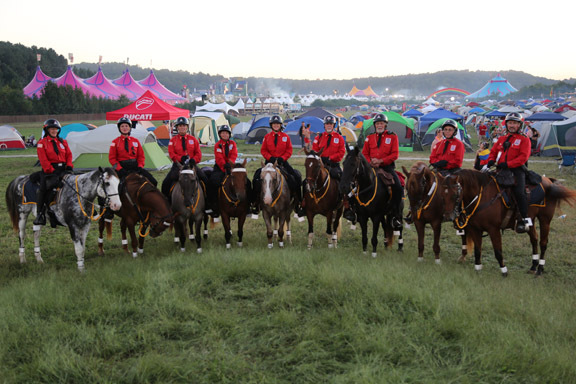 Alpha & Omega Mounted Patrol has assembled the largest private peace time cavalry ever organized for Bonnaroo annually from its inaugural concert in 2002. Mounted patrol officers act as goodwill ambassadors and assist in crowd management. Creating the largest horse patrol in the history of the company is no small task for the A&O staff. Logistics and planning start months in advance at meetings with Superfly Presents and A.C. Entertainment, organizers of Bonnaroo. All parties meet with state and local police as well as city officials. A comprehensive command and control center/camp with barn, picketing posts, and a semi-trailer of equipment is erected at the festival to bivouac horses. Care of the animals requires more than 12,000 pounds of hay, 2,500 pounds of grain, and 6,400 gallons of water, all hauled to the 700-acre site. The state-of-the-art communications headquarters, reminiscent of a Wild West campsite, is equipped with a quartermaster to organize tack, a horseshoer, a veterinarian, and a truckload of equipment to keep the horses and riders comfortable and fit. From the site, mounted officers are ready to execute some 30-plus tactical activities designed to keep the peace at Bonnaroo. For instance, they are prepared to assist flight-for-life helicopters, direct vehicular or pedestrian traffic, or insert and extricate vehicles such as tour buses and limousines amid throngs of fans. Rapport between fans and patrol officers is one of the most critical aspects of successful concert security. A&O mounted patrol riders take special care to set a standard of mutual respect. In addition to learning communication and public service skills, officers are trained in special maneuvers outlined in the Standard Operating Procedures manual written by Frank Keller, CEO of Alpha & Omega, after consulting World War I cavalry manuals housed under guard at the Library of Congress. These maneuvers and formations, recorded almost 100 years ago, still work successfully today to protect young people in the festival setting. Riders at Bonnaroo come from more than 20 states and all walks of life. Several run horse ranches. Many are current and former law enforcement officers. All are experienced and enthusiastic riders. A&O Troopers staging before a festival. 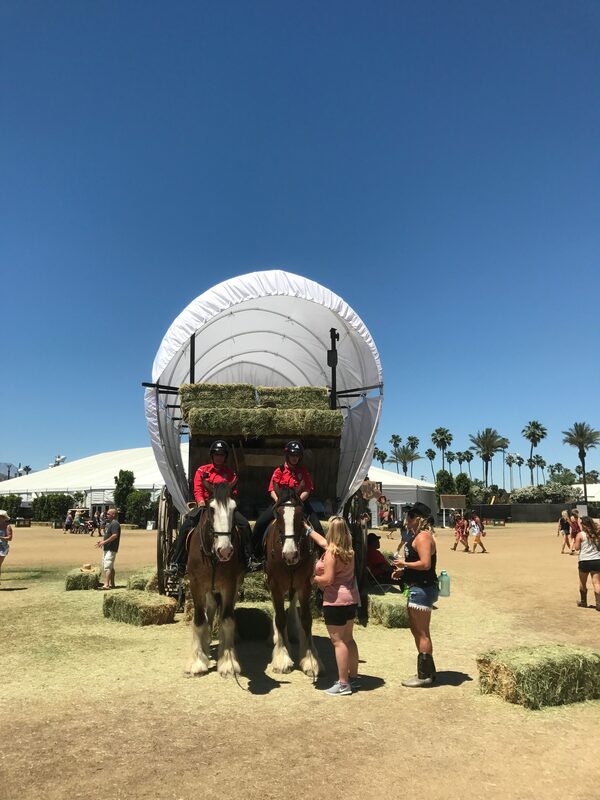 The Alpha & Omega Mounted Patrol made its debut at the Coachella Valley Music and Arts Festival (www.coachella.com), April 17 to 19, 2009, and has served at every festival since. 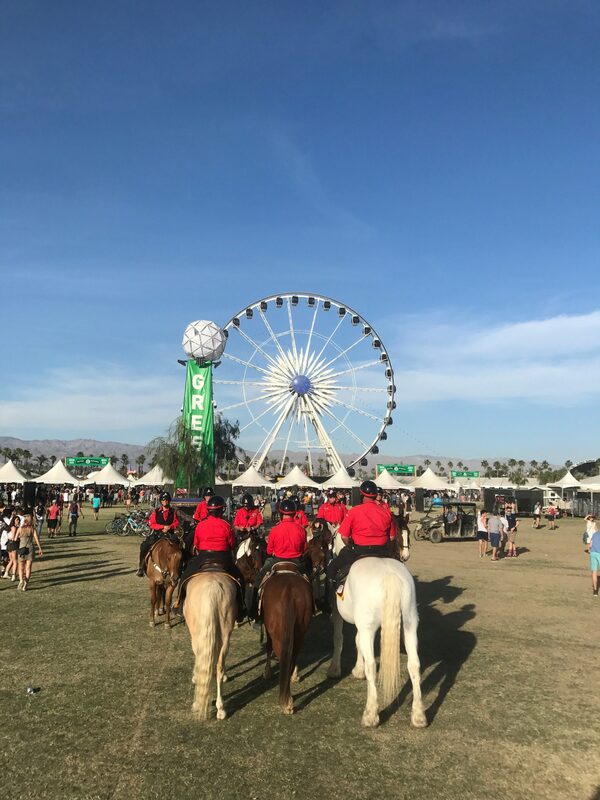 Coachella’s diverse offerings and huge audiences create unique security needs. Troopers on horseback provide entrancing controls, parking supervision, crowd management, traffic control, substance control, and regulation of illegal vending. They also serve as mobile information centers for fans needing directions, medical help, and other instruction. The popular indie-rock festival is held on the grounds of the Empire Polo Fields in the desert town of Indio, California. Thousands of fans from around the world gather for top name acts like Paul McCartney, Morrissey, My Bloody Valentine, Public Enemy, The Cure, The Killers, White Lies and hundreds of other well-known and up-and-coming musical acts. The festival also is celebrated for its staging of large sculptural and interactive art. Alpha & Omega Troopers were on hand for their first patrol assignment at Stagecoach 2009 on April 25 and 26 at the Empire Polo Club in Encino, California. They continue to serve annually at California’s top country music festival featuring a top-tier mix of artists from the genres of mainstream country, bluegrass, folk, roots rock and alt-country performing in three distinct performance areas. The critically acclaimed gathering also includes a variety of activities including a leading BBQ competition and camping area with amenities exclusive to campers. Past line-ups have included Brad Paisley, Kenny Chesney, Reba, Kid Rock, Miranda Lambert and dozens of other performers. A&O Mounted Patrol initially brought its special brand of festival security to Golden Gate Park in San Francisco for the inaugural Outside Lands Music & Arts Festival in August, 2008, and has continued annually ever since. The multi-faceted festival features top musicians and many newcomers along with local acts in an effort to represent San Francisco’s vibrant cultural community. A&O Troopers handle a number of security functions including parking, crowd control, escorting artists through crowds, assisting in medical emergencies, and offering directions and assistance to fans. A&O has also previously provided security at Golden Gate Park during The Dave Matthews Band concert. New this year to the A&O festival roster is KAABOO in Del Mar. Headlined by Red Hot Chili Peppers, Pink, and Tom Petty and the Heartbreakers, this festival features hundreds of top musicians plus much more. Offerings include an air conditioned comedy theater, artisan beers and limited production wines, spa services, art installations and contemporary art fair, pool and sand parties, and a late night indoor dance club. Festivals like this one with a wide variety of entertainment options have become a specialty of the highly trained and elite A&O festival unit. The mounted patrol provided security for this festival on Florida’s largest lake. Some 50,000 fans heard acts like Bassnectar, Usher and The Roots, and Kings of Leon as well as enjoyed activities such as yoga, art, and meditation. Phish music and camping festivals became a model for large music festivals in the United States in the mid 90s. Concert planners built mock cities with roads, movie theaters, potable water, multiple stages, retail centers, and varied entertainment. The A&O mounted patrol was a popular and effective means of crowd management for these festivals. Uniformed riders patrolled atop highly trained horses with a wide field of vision to spot potential problems. Over the years, fans became accustomed to the friendly and helpful Troopers. A&O joined Phish at the Clifford Ball, the Great Went, LemonWheel, New Year’s Eve at the Big Cypress Seminole Indian Reservation, Oswego, IT, Coventry, Festival 8, Super Ball IX and Magnaball. Plus, A&O riders provided security for the band at many amphitheaters and smaller outdoor venues. The appearance at Coventry in Vermont represented a “full circle” of sorts for the mounted enforcement unit and Phish. A&O began its concert division with Woodstock 94 where Phish band members first encountered them. They were invited by Phish to the Clifford Ball concert in 1996. This classic Phish music festival launched what has become an annual summer concert tour for A&O elite riders. Troopers have provided mounted patrol units for the Electric Forest Festival at the Double JJ Resort in Rothbury, Michigan, for the last four years. The festival has many unique features including a forested venue, water park, pop-up restaurant and live painting performances. Popular band The Stringed Cheese Incident has headlined the festival all four years with dozens of additional acts appearing on five stages. Kel Executive Services directed security for TomorrowWorld, the 3-day electronic-based music festival, and A&O provided mounted patrol services. The festival featured dozens of the world’s top electronica entertainers. 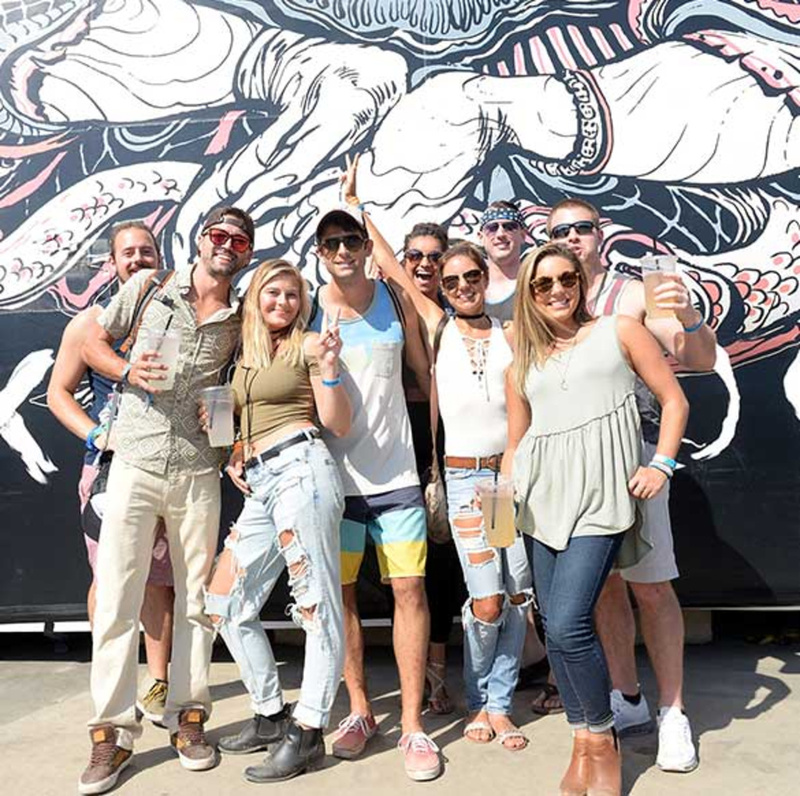 The multi-experience festival was staged at a 3-mile venue along a scenic waterfront locale on the banks of the Chattahoochee River. A&O Troopers at TomorrowWorld with fans from the event. A&O was proud to be a part of Mysteryland’s inaugural U.S. event. Mysteryland has been a leading pioneer on the dance festival scene in Europe and the US since 1993 and has inspired numerous other organizers and events. It is the first music festival to return to the hallowed grounds where Woodstock took place. Mysteryland has had a tremendous impact on the music world and it is the logical festival to follow in the footsteps of the original ground-breaking music event. Woodstock represented the music of a new generation and cultural tour de force for the changing times, and today Mysteryland brings together the global forces of dance music for the new generation’s revolution. After a year of talks, ID&T won approval for the first U.S. edition of Mysteryland, which is also held annually in the Netherlands and Chile, to be held at the Woodstock site. A&O met the special security challenges presented by this legendary site. Mysteryland offers its guests a creative journey, combining music with theatre, movies, interactive installation art, street performers and spectacular shows at bizarre decorated stages. To create this amazing spectacle, the festival organizers collaborate with a wide range of creative people from all over the world. The musical offerings are also all about discovery. In addition to legends from the international dance scene, the festival provides a stage for new and local talents: the next generation. The famous Tomorrowland festival, also produced by ID&T, emerged from the key values of the Mysteryland festival. Furthermore, Mysteryland has also been a major catalyst for the electronic music revolution since the early 1990s. 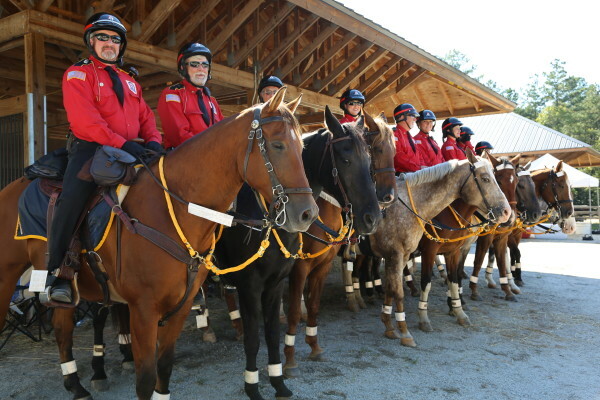 The A&O Mounted Patrol expanded outside the United States to serve at the Pemberton Music Festival. 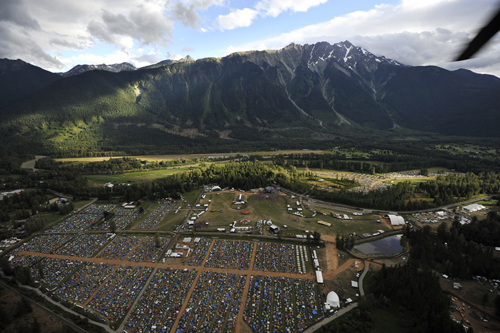 Pemberton was a contemporary music festival near the foot of majestic Mt. Currie. Performers included Nine Inch Nails, Outkast, Soundgarden, Frank Ocean, Snoop Dogg, The Flaming Lips, Violent Femmes and dozens of other bands. Smooth traffic and one of the world’s most majestic settings welcomed over 75,000 festival patrons who enjoyed nearly 100 performances. A&O provided an experienced courtesy patrol on horseback to direct traffic, monitor crowds, promote safety, and provide directions. 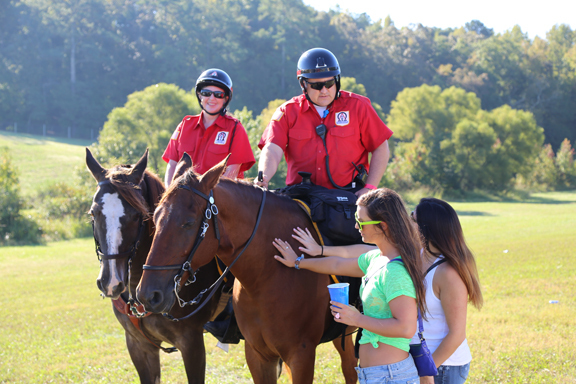 The A&O Mounted Patrol served the inaugural Interlocken Music Festival, providing public safety services. 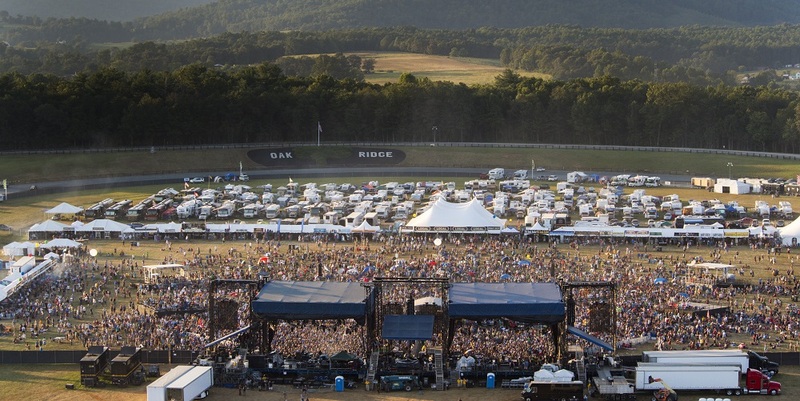 The festival at the foot of the Blue Ridge Mountains broke from tradition somewhat by offering repeated sets by a smaller number of bands over the 4-day festival. The 2014 festival offered some of the biggest names in music: The String Cheese Incident, Phil Lesh & Friends, Tom Petty & The Heartbreakers, Widespread Panic, Wilco, The Allman Brothers Band, and the legendary Willie Nelson. Kel Executive Services handled the overall security planning for this multi-faceted 3-day festival. A&O provided mounted patrol on the Winston Farm site. The festival featured dozens of musical acts, workshops in hoop dancing and kung fu, multiple intriguing art installations and camping packages. The entire security team was faced with daunting challenges when a weather evacuation was necessary on Sunday and the event had to be cancelled. Although load-out was challenging for fans and staff alike, everyone was evacuated safely. The Langerado Music Festival for six years was a forerunner of early festivals. A&O served in 2008 at the festival at the Big Cypress Seminole Indian Reservation in the South Florida Everglades. A&O Troopers patrolled the concert grounds, helped fans with parking and directions, monitored entryways to enhance public safety. An estimated 25,000 music fans attended the four-day festival. The line-up included R.E.M., Beastie Boys, 311, Phil Lesh & Friends and 80 other acts. Alpha & Omega also participated in Green Langerado, a concentrated approach to staging a green concert experience. All materials used in camp were evaluated for their recycling potential. All hay and horse feed were purchased from local vendors and manure was doanted to local farmers for fertilizer. The Alpha & Omega Mounted Patrol participated in one of the milestone music events of all time. Billed as the 25th anniversary of the original Woodstock music festival, the Woodstock ’94 Arts and Music Festival was staged on the 843-acre Winston farm in Saugerties, New York, August 12 to 14, 1994. The festival featured 30 bands and an estimated 450,000 people in attendance. The Woodstock site created the third largest “city” in New York during the festival weekend. Alpha & Omega Troopers joined the New York State Police and several private security firms to manage the sizeable crowd (the first time ever for a private mounted patrol to be contracted for a music festival.) A strong relationship was forged with the New York State Police, a bond that continues today. Troopers were responsible for traffic management, parking patrols, opening passageways for band members and VIPs, clearing landing zones for helicopters, and monitoring crowd movement and behavior.